Carnations are toxic to cats. Many common household plants can prove dangerous to pets. 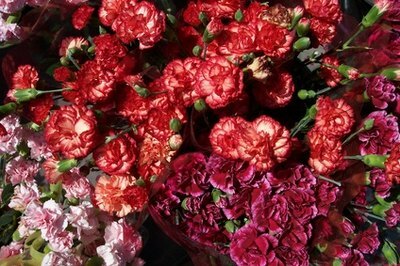 Carnations, also called pinks or wild carnations, present a danger to your cats. If you suspect that your cat has gotten into carnations, you should immediately respond. If your cat has eaten carnations, it will suffer from gastrointestinal distress such as vomiting, diarrhea and excessive drooling. But a cat doesn't have to eat carnations to suffer an adverse reaction: If your cat's skin comes in contact with carnations, it can develop dermatitis, an inflamed skin rash. If your cat eats carnations (or gets them on its skin), or shows the symptoms of carnation poisoning, take immediate actions. Above all, do not panic. If possible, note the amount of carnations your cat has eaten. Contact a veterinarian. If a vet is unavailable, calling poison control might be helpful. However, be advised that most human remedies are not safe for cats and will not help. Do not try to induce vomiting; this could harm your cat. While you should consult a veterinarian, remember that carnation is not the most dangerous plant to cats. In general, the symptoms are mild to moderate. This knowledge can help you remain calm if you find yourself panicking. You should take the situation seriously, but most of the time carnation poisoning is not fatal, just unpleasant. Carnations are not the most dangerous houseplant for your cat. Other plants and flowers, like chamomile, bulbs (tulips, lillies) and geraniums present a much greater danger to your pets. 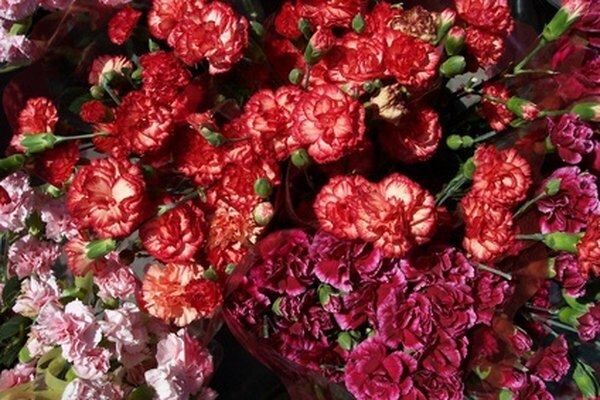 If you mistake them for carnations, you can underestimate a serious situation. If you have a pet cat, make sure you know what your houseplants are. Research any plant before you bring it into your home. Never assume your cat knows better than to eat something that could harm it.